If you search in Google for the term public speaking tips you get roughly 2.6 million responses. That seems like a lot, but when you have to be the one standing in front of the group there isn’t enough information in the world that could get you over that fear. Believe it or not, most of those fears are self imposed. What do I mean? The people listening to you don’t really care how the information is disseminated they just want the information. It’s the speaker that puts themselves through the ringer weeks before the event. Here are some tips that may seem obvious, but once completed, will really put your mind at ease. 1. Know your topic! I don’t mean know your topic, I mean inside and out, upside down, what ever questi on someone could throw at you, you know the answer. You really need to be prepared to reach this level. You need to know your speech almost by heart; you need to know the products you will be discussing. Do your homework and practice, practice and practice. You will know you have reached public speaking Nirvana when you get that feeling, it will come with knowledge. 2. Greet as many of the attendees prior to your speech as possible. Familiarity promotes confidence. Besides, think of the benefit you provide the topic you are to speak on when you take the time to meet people before you begin. This strategy also prevents you from pacing back and forth and worrying yourself to death until you go on. There is no point in cramming now, if you don’t know it, you won’t, and it will show. 3. Animate your speech. Most people think that good communication is mouth-centric. Nothing could be farther from the truth! To be a powerful communicator, you have to use your entire body. 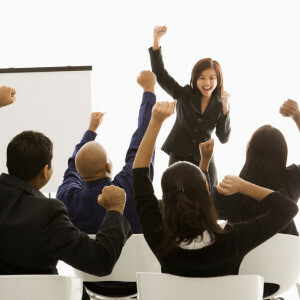 Gestures and body language add energy and enthusiasm to your speech. 4. Present with the end in mind. When beginning the presentation, you have to present it while keeping the end of the presentation in mind. Know the purpose of your presentation and what you want participants to experience and walk away with. 5. PowerPoint or Not. PowerPoint can add visuals and compliment your presentation. Without it, make sure you know your topic thoroughly and use other props including gestures to anchor points and to keep your audience engaged. Make sure you see, hear and feel what exactly it is that you want people to respond to in whatever it is that you say. Another way of making sure that the audience loves you despite the fact that you don’t use PowerPoint in your presentation is to bring solutions to the problems they have. With your research of the audience, you would already have an idea about what their problems are; it is only up to you to bring new ideas to them to try. 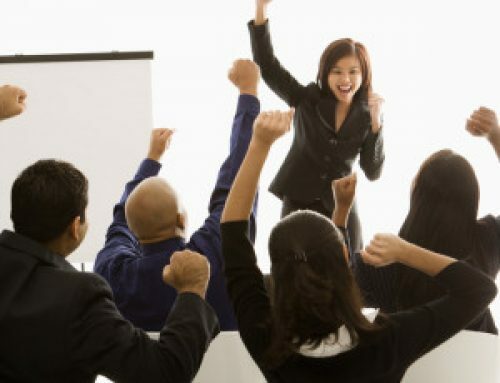 Remember that when you are not using PowerPoint, you are the visual aid of the presentation. People will then gain more interest in whatever it is that you say, instead of visuals or fancy slides or overheads. So, basically, without PowerPoint, the speaker needs to be more self-confident and well versed in her/his speech. 6. Tell Stories One of the best ways of making a connection with the audience is to tell a story, or an anecdote that has universal appeal. 7. Practice in Bits. One of the best techniques to implement for practice is called bits. Practice a short piece of material over and over again till perfect. It is not that you practice it for word for word, just be able to talk through and about each part of your presentation with as much familiarity as possible. That way, you’ll easily continue a presentation, even if there is a distraction while onstage. Reduce your fear of speaking by taking the following steps. A) Conduct Research. Visit or call key participants to ask them what they expect from your presentation. That is, what do they want to learn from it? What do they already know about this topic? How will your presentation help them? Such conversations enlist these people as your allies during your presentation. It also helps you learn what people expect, so that you can deliver it. This is like collecting the answers to an exam before taking it. B) Prepare. Write an outline, and if possible write a script for key parts of it (such as the opening and close). Then, practice giving your presentation, without reading the script until you know it so well that you can deliver it conversationally. Avoid trying to memorize a script. That makes things too complicated and difficult. Practice your speech anywhere and at any time. For example, you can talk through parts of it while jogging, working on chores, or taking a shower. C) Rehearse. It is said that practice doesn’t make perfect. Perfect practice makes perfect. You will do significantly better if you can practice in the actual room, using the equipment. Although any practice is better than none. 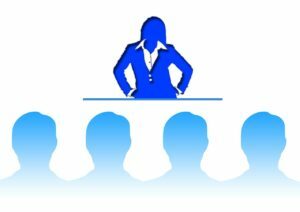 Practice your talk in the meeting room with a group of friends, coworkers, and (if possible) your boss. Ask for their comments on how to improve your talk. Also, use this as an opportunity to become familiar with the room and any equipment, such as a projector. D) Be the Host. Arrive early so that you can meet and greet the attendees before your presentation. Shake their hands and thank them for coming. Introduce yourself to them and engage them in small talk. (e.g., “How are you?”) Act as if they were guests coming to your party. This converts them from strangers into friends. E) Expect Success. Fantasize doing a wonderful job. If you let nightmares run through your mind, you will scare yourself. Give yourself confidence by expecting to do well. Know that everyone wants you to do an excellent job. F) Use self-hypnosis, breathing techniques to eliminate fear. 8. Show up early. To make allowance for the unpredictable traffic, parking, weather, get there early, set up and take a few minutes to relax. 9. Perception is everything. Let’s face it, when you choose to be a presenter, you are allowing/inviting judgment. So, use your hypnotic skills to BE calm, confident and friendly. 10. Set your Emotional State(s) Think about what emotional/mental states in you will most effectively help you get your listeners to your goals for them i.e. excitement, confidence, energized, relaxed and flexible. 12. Energy management managing the energy in the room is the sign of an outstanding presenter. Do this by keeping them engaged with stories, hi-5’s, ask them short questions, give them something to do. 13. State management – eat healthfully prior to the event. Tony Robbins jumps on a trampoline prior to getting on stage increasing his energy to a level 10 anchoring in the qualities he wants. Exude a powerful level of confidence. Focus on the experience you want to have and step into that peak energy/state. Manage your state. Presence is the most important. People judge you within first 10 seconds. 15. It’s not about you. You are there to lead them to their goals, dreams and success. Tailor your presentation to get them where they want to be. Patricia Eslava Vessey PCC, CHt is the owner of Integrity Coaching & Training Systems, a personal development company dedicated to empowering people to succeed in their personal and professional lives. Patricia is passionately committed to supporting her clients and students in transforming, negative and destructive beliefs and behaviors into empowered thoughts, feelings and behaviors so they can achieve their goals and live their best life. 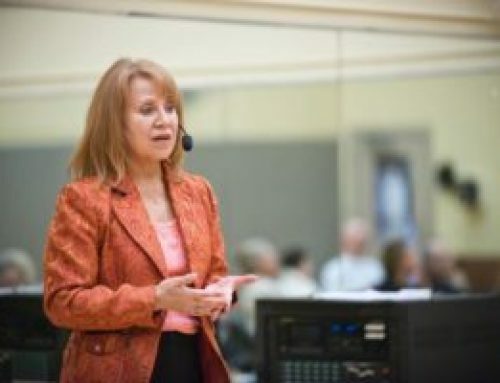 Patricia has successfully helped thousands achieve and maintain their fitness goals and manage their weight as a personal fitness trainer, group exercise instructor and health coach, since 1980. 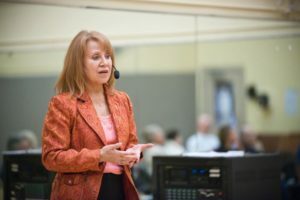 Using hypnosis, NLP, and other energy psychology techniques has added even more ease, enjoyment and success to her client results. Her clients are groups and individuals. She works with all ages, including children whose lives are challenged by stress, anxiety, fears, phobias, lack of confidence, lack of focus and follow through, insomnia, addictions, excess weight, lack of motivation, self sabotage, menopause symptoms, chronic pain, relationship problems and others. Using coaching, hypnotherapy, NLP and energy psychology in workshops and in hypnosis recordings and written material, she teaches people to empower themselves by harnessing the power of their mind. Her students and clients learn new skills as the reprogram their minds for success. Visit Integrity Coaching & Training’s STORE and choose from a variety of personal development recordings to help you achieve your goals. CONTACT Her TODAY For Your FREE Strategy Session and Consultation! Before You Grab Their Attention – The First 3 Minutes! Public Speaking Fear? You Should Be Afraid!